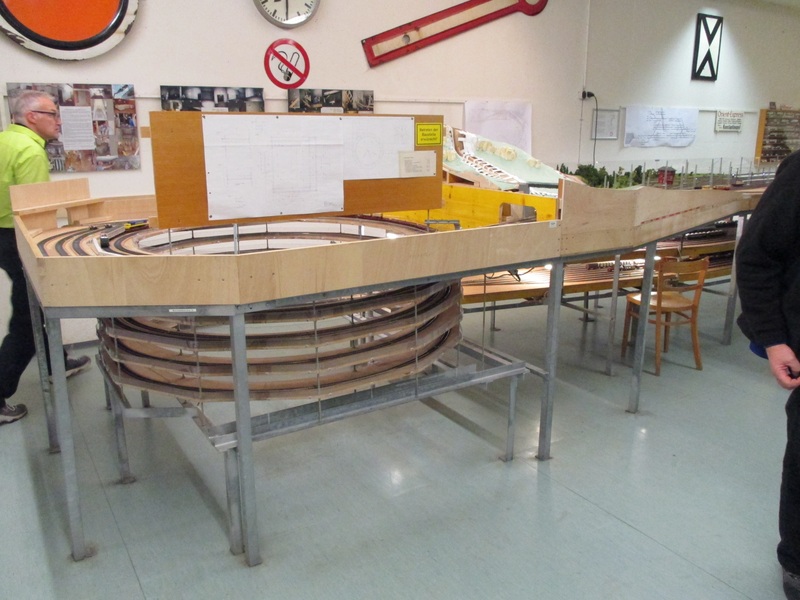 Stuttgart 2014 #2 – The Bartlett’s have landed! For the next week or so I will blog through the Stuttgart show. I’m wasn’t quite clever enough to ‘live-blog’ it all, so I’ve come back with a load of photographs, and I’ll post a few chosen ones. Maxine and I arrived in Stuttgart about 16:30 on the Friday, after a simple journey from Redhill, thanks to the delights of ‘Germanwings’. We moved hotel this year to the ‘Wyndham’, that is 5 minutes walk from the airport and 5 minutes walk from the Messe where the exhibition was being held. Having checked in, we walked across to the Messe, where most of the punters were leaving – the halls are open from 10:00 to 18:00. We arrived to greet the ESNG team, and immediately turned around and left – with everyone else I hasten to add. First for the N-club group photograph. This reminded me of wedding photographs as it did go on a bit and they lost all the required important people at the critical moment. 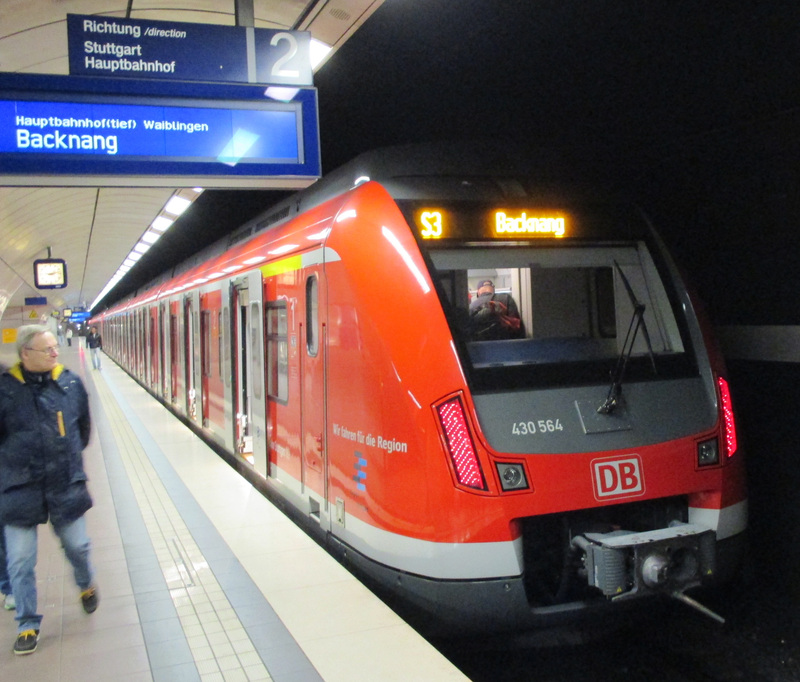 Then we headed for the S-Bahn train station to catch a smart red DB train towards the city centre. 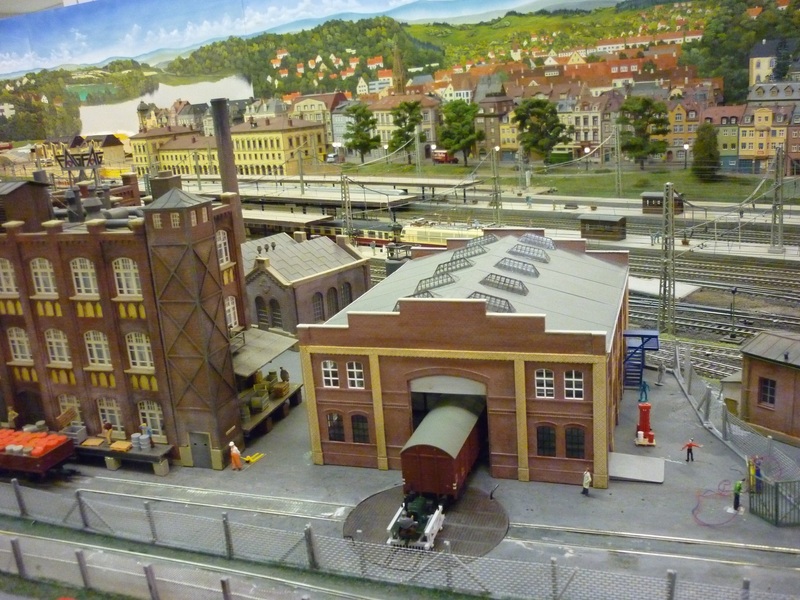 We had been invited to visit a Stuttgart model railway club, the Modelleisenbahn Stuttgart. 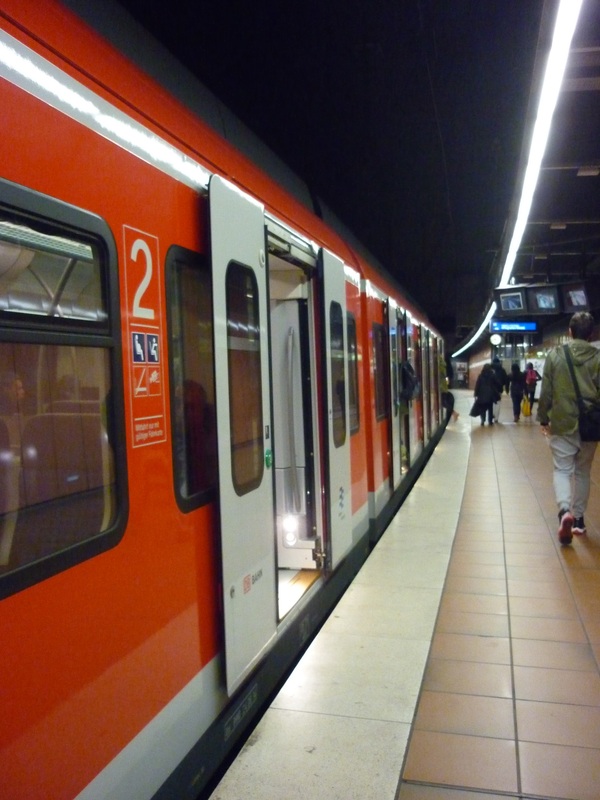 Fortunately, our German friends do abbreviation – MECS is a lot less of a mouthful! 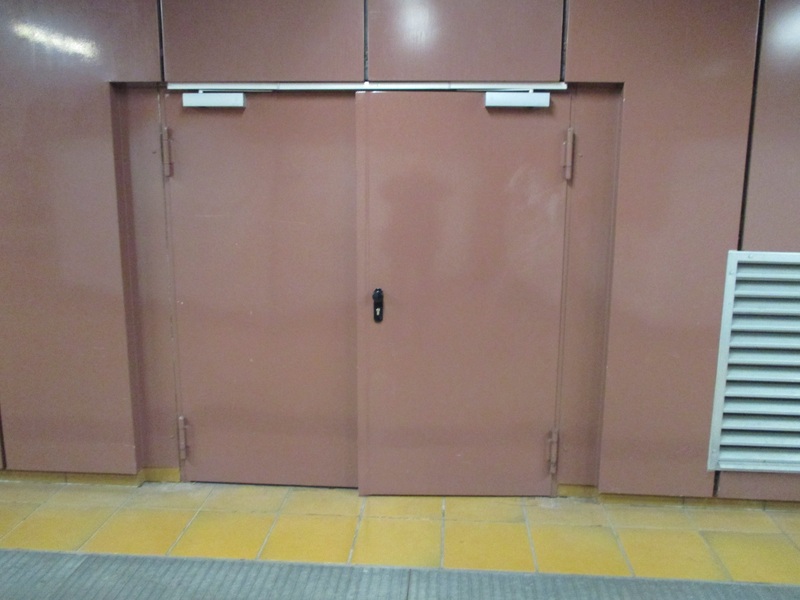 On arriving at the appropriate S-Bahn station, one follows an exit corridor, and enters this rather anonymous door. 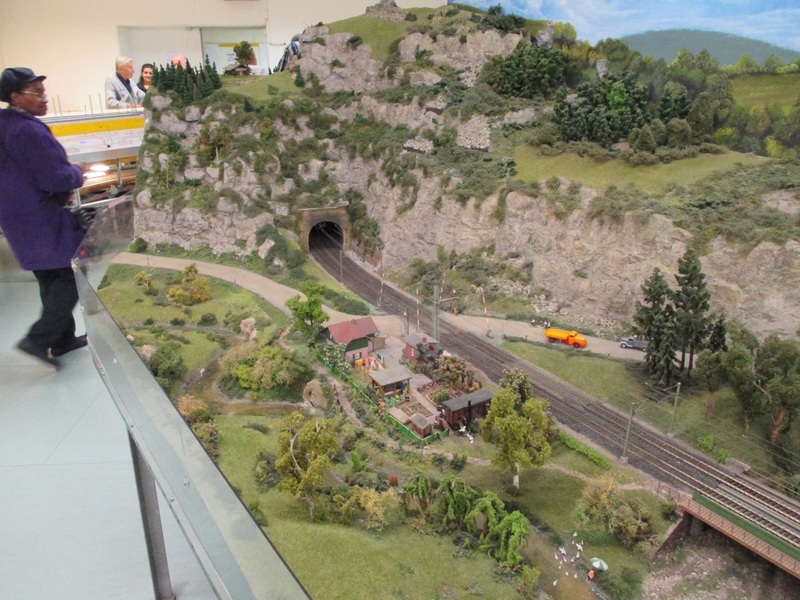 Once inside, there is an extensive clubroom, in the area above the station escalators and tracks. 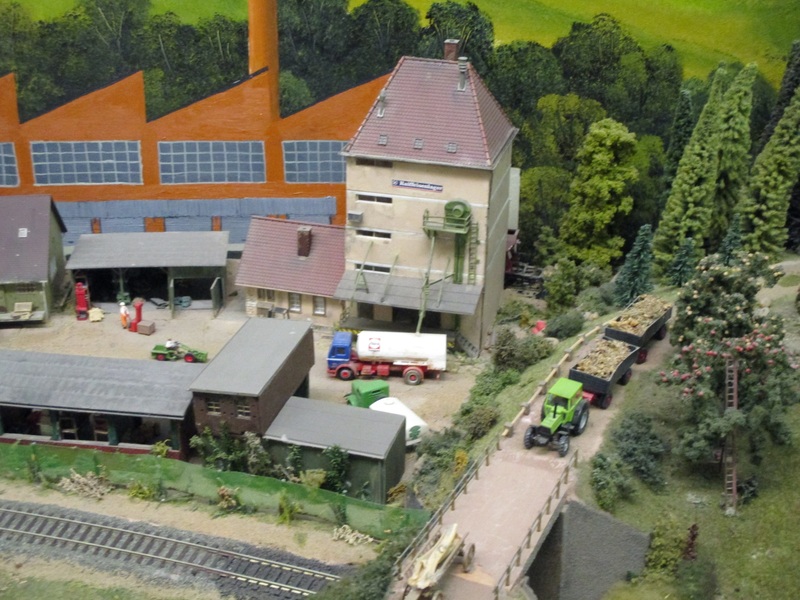 The club layout is an extensive and operationally intensive HO layout, with a long main line and a single track branch off. 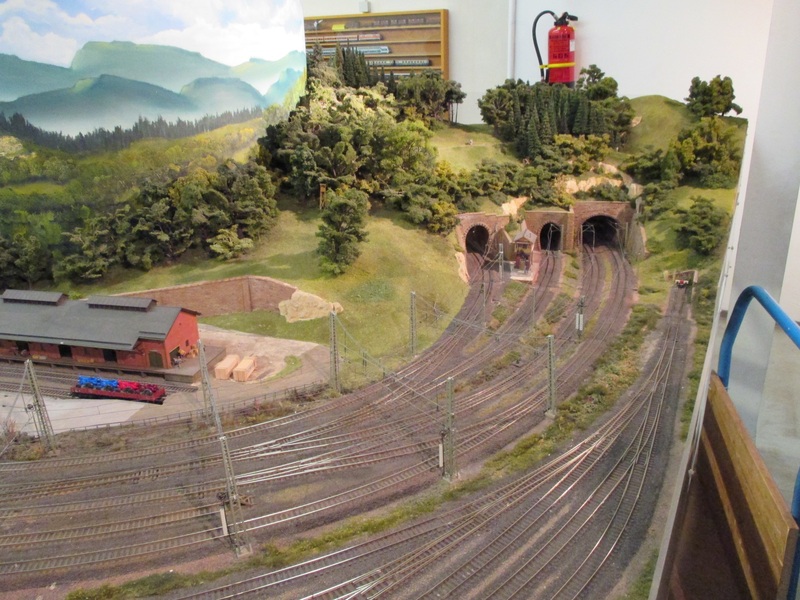 Much of the layout is complete, but some new areas are still under development. I noted the two layers of storage sidings/staging under the layout, accessed by a helix. The helix is a common device in the USA to move between layout levels, but we rarely have enough room for this in the UK. Whilst visiting, we were well looked after by MECS and fed and watered in a small club dining room. 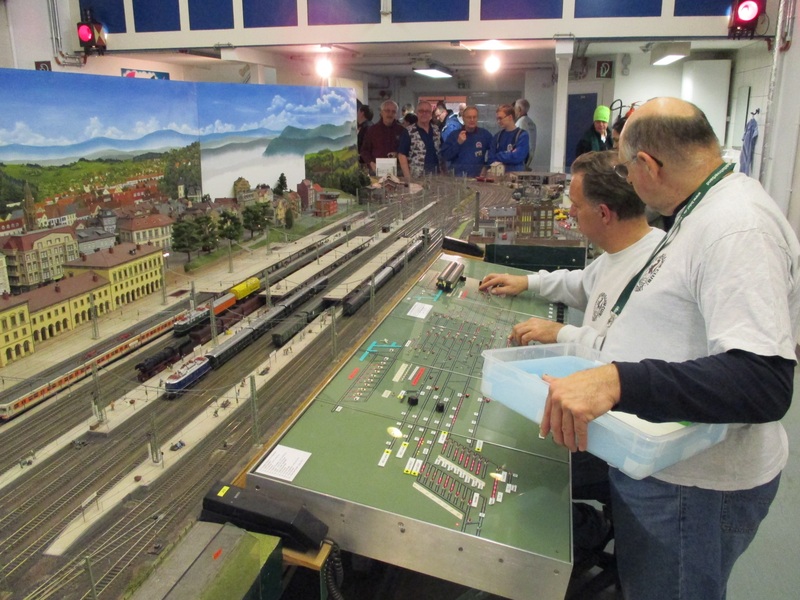 Although the layout was HO, there were several tables of N gauge stock for sale. 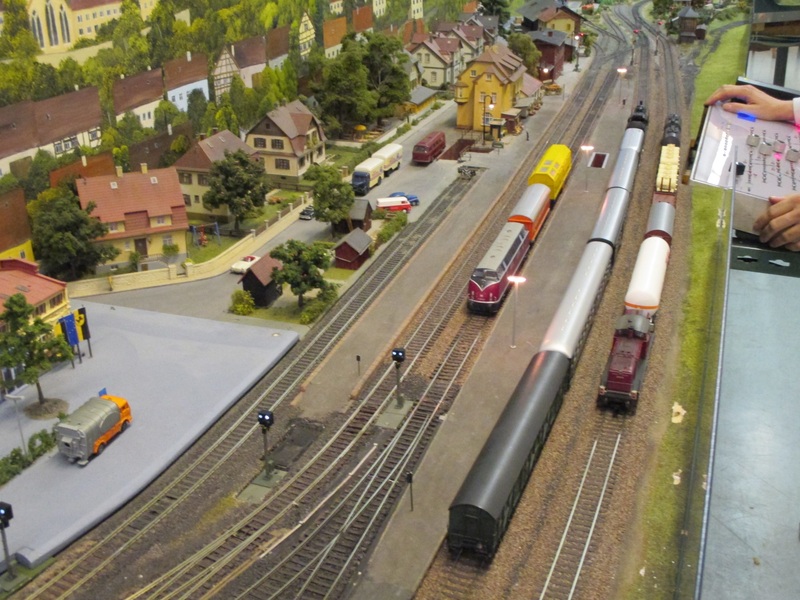 I resisted a ‘Flying Hamburger’, despite a very good price (I do this every year at Stuttgart – they are very attractive early DMU’s, but there is no way I need one). 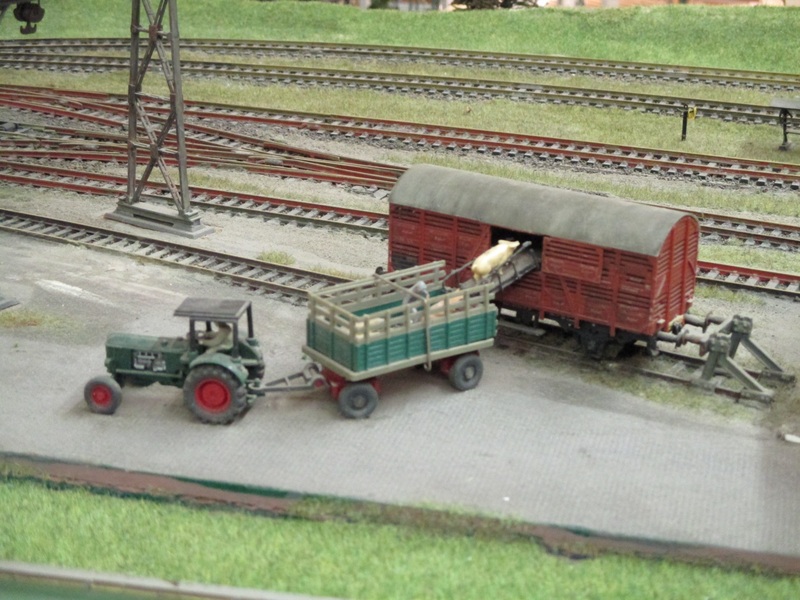 Derek and Allan were less restrained and waded in, and Allan spotted the Swiss luggage van that he has been hunting for two or three years for President Martin. This was snaffled very quickly, and made a good evening even better. We were amused to see one of the traders from the Messe show buying up some stock, no doubt for sale at a profit the next day. Then it was back on the train and a short walk to the hotel. Next post I’ll get into the Messe itself.